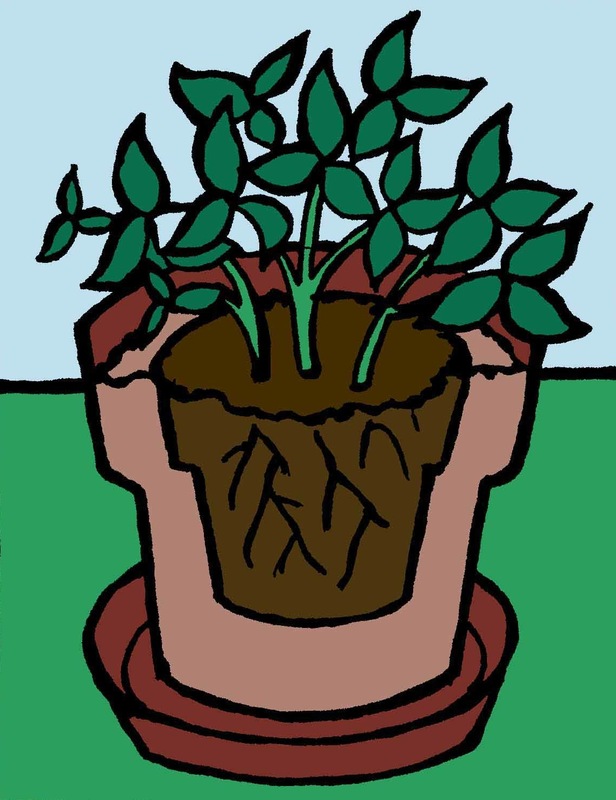 When repotting a plant, normally you would take the time to carefully inspect the roots, trim off a few dead ones, knock off a bit of old potting soil, etc. But sometimes you’re just too busy: you need to get that repotting done fast. Or maybe you’re repotting one of those plants that don’t like having their roots disturbed (clivias, amaryllis, hoyas, etc.). In both cases, there is a much easier method for repotting that leaves the rootball fully intact. You’ll need a new pot 2 inches (5 cm ) larger than the original one, a second pot of exactly the same dimensions as the original one, some potting soil and a watering can. 1. Pour potting mix into the bottom of the biggest pot and center the smaller one inside it, on top of the soil. Illustrations: Claire Tourigny, from book Les 1500 trucs du jardinier paresseux. 2. Now fill around the smaller pot and pack the mix down lightly. 3. 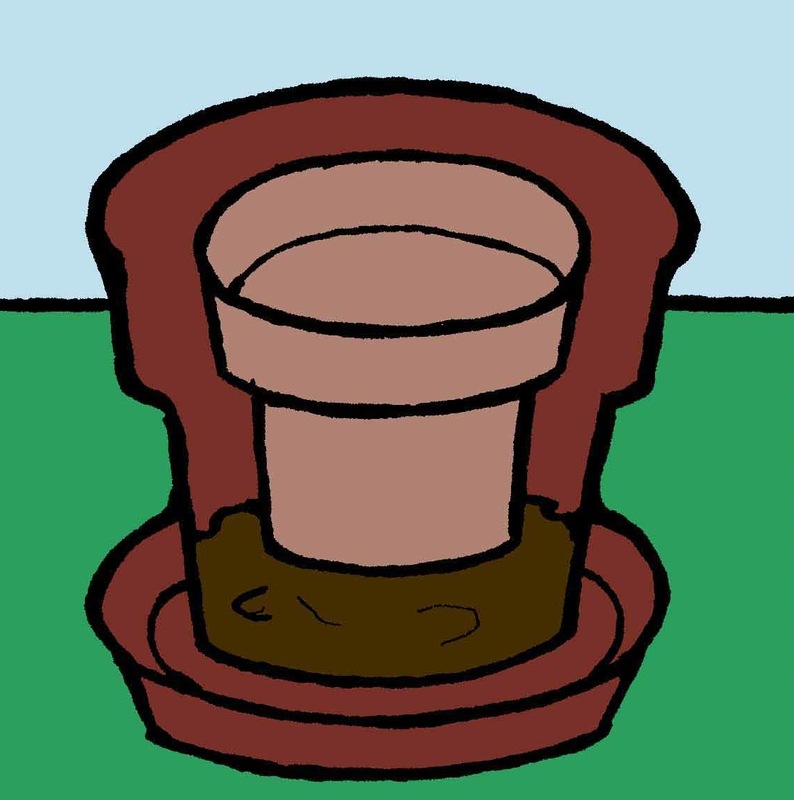 Remove the smaller pot and you get… a perfect mold of the plant’s rootball! 4. 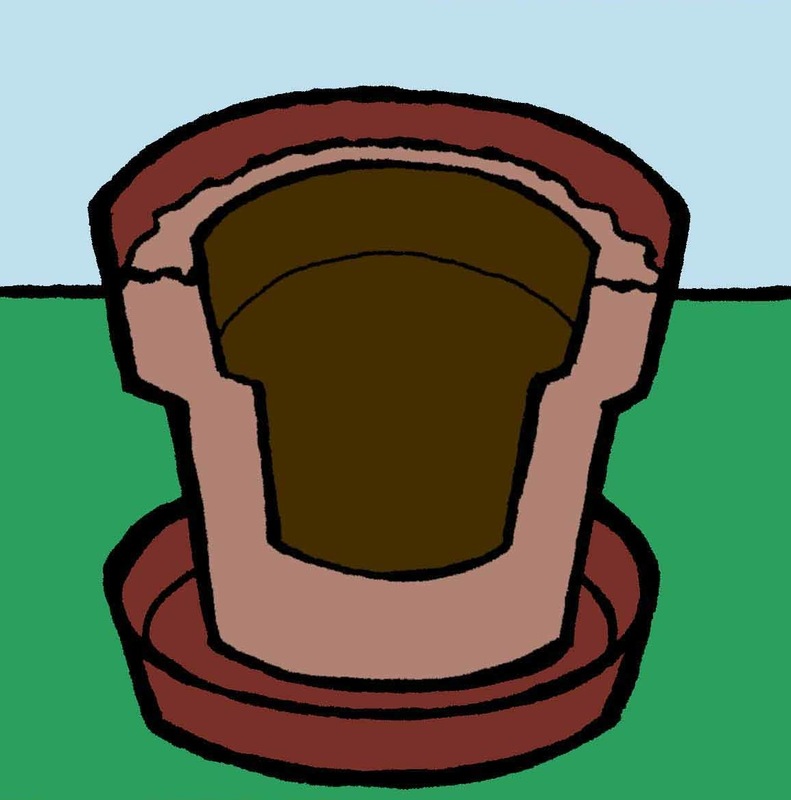 Now remove the plant from its pot and slip it into the molded hole. Tamp the soil down a bit, water and presto: you’ve finished repotting! Give Away Your Mower: There’s Now A Self-Mowing Lawn! Is it good to wash the roots before bigger potting if the plants looks like it needs a boost of some sort? 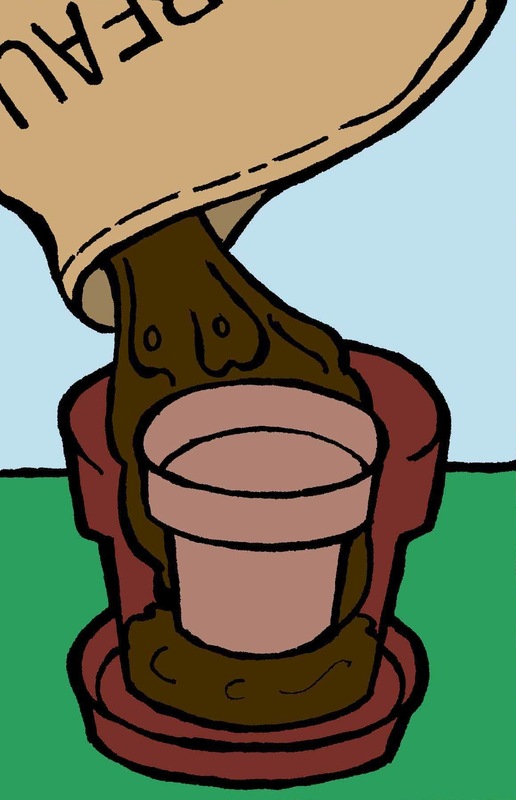 Not necessarily wash the roots, but you can knock off most of the older potting soil before you repot into fresh soil.